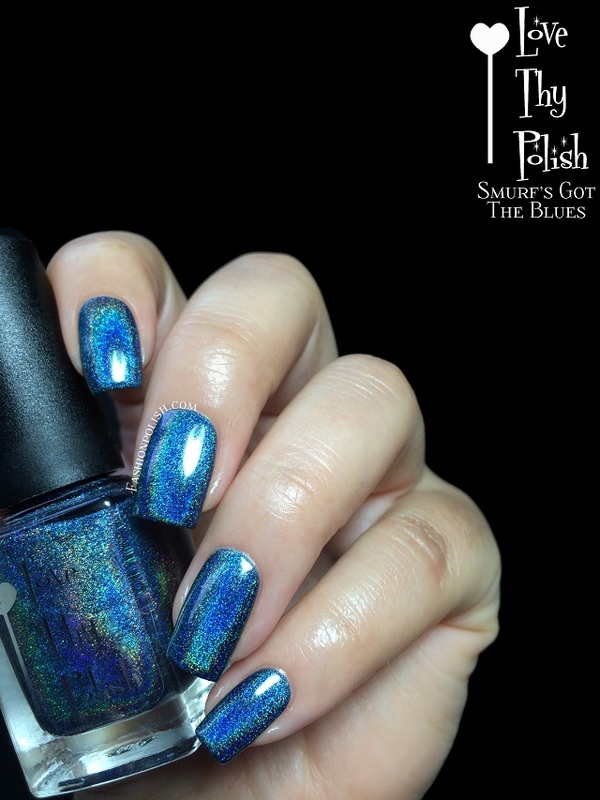 Fashion Polish: Love Thy Polish swatches & Review! Love Thy Polish swatches & Review! Hi girls! I have some Aussie beauties to show you today! I actually don't own that many Australian brands besides piCture pOlish and Ozotic so when Emma, the creator of Love Thy Polish, contacted me to review some of her polishes I instantly jumped on the occasion! It only took a quick glance at her store to see how incredibly beautiful they were. Formula was pretty much stellar on all eight polishes I tried so I'll just talk about it here. 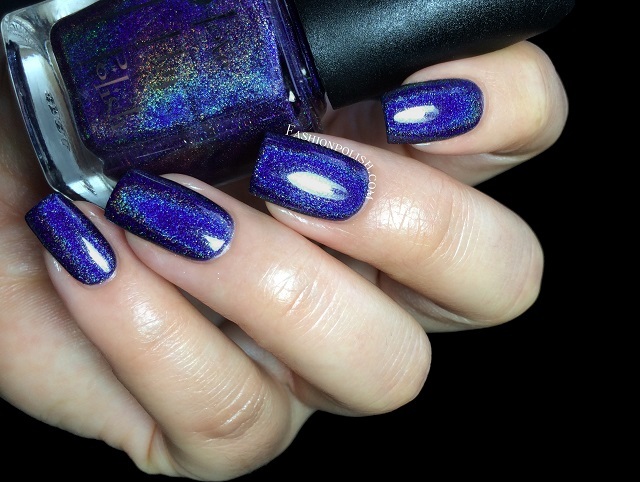 The holos were smooth and glossy with an incredibly strong linear effect. 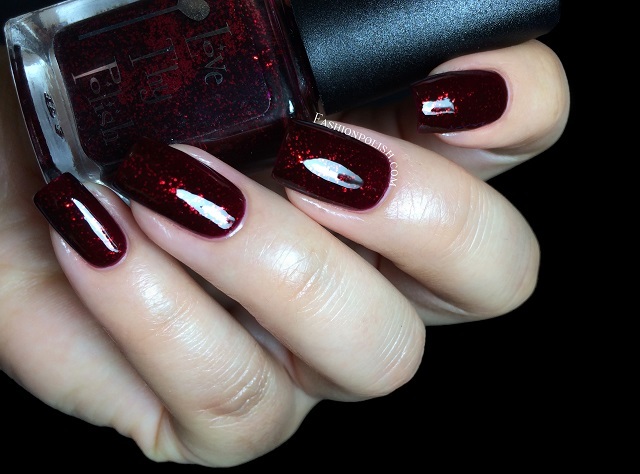 Both "tinted" shimmers/glitters applied like a dream as well and reached full opacity after 2 to 3 coats depending on your application skills / nail length. As for the glitter topper, I only used one good dabbed coat and found glitter pay-off to be excellent. And now, let's give them a closer look! Marine Dream is the lighter blue holo here but still medium toned. Not a straight blue, it has a slight teal hue but not enough to entirely lean towards turquoise or teal. Coats used : 2, plus topcoat. Smurf’s Got The Blues is very similar to Marine Dream, only a tad darker and bluer. It's super gorgeous as well and I'd honestly have a hard time picking a favorite! This is also 2 coats plus TC. 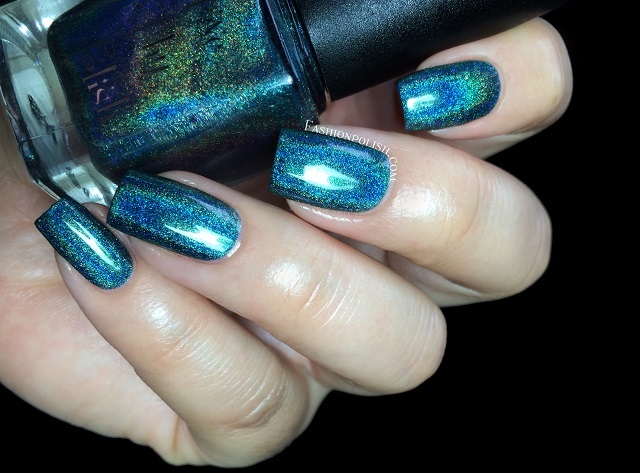 Green Eyed Monster is a true teal holo. You're probably going to read this a lot today but here goes again : stunning!!! From application to color to rainbow, it's pure perfection... This is 2 coats plus TC as well. 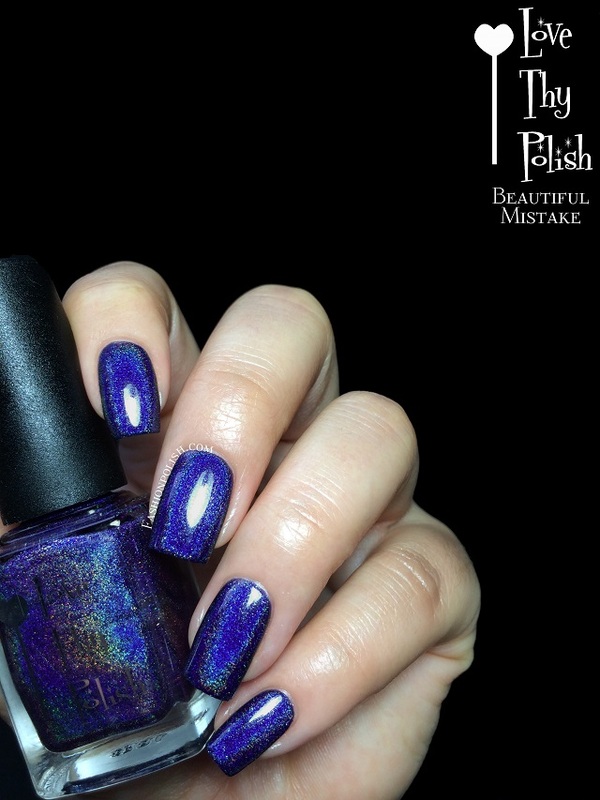 Beautiful Mistake is the last blue I have for you today and a dark blurple linear holo this time. Ok can someone please stop the awesomeness already? haha This one was a bit of a pain to photograph and kept looking bluer than it should on all the pics I took :( It's a true blurple in real life. Coats here : 2, plus TC. 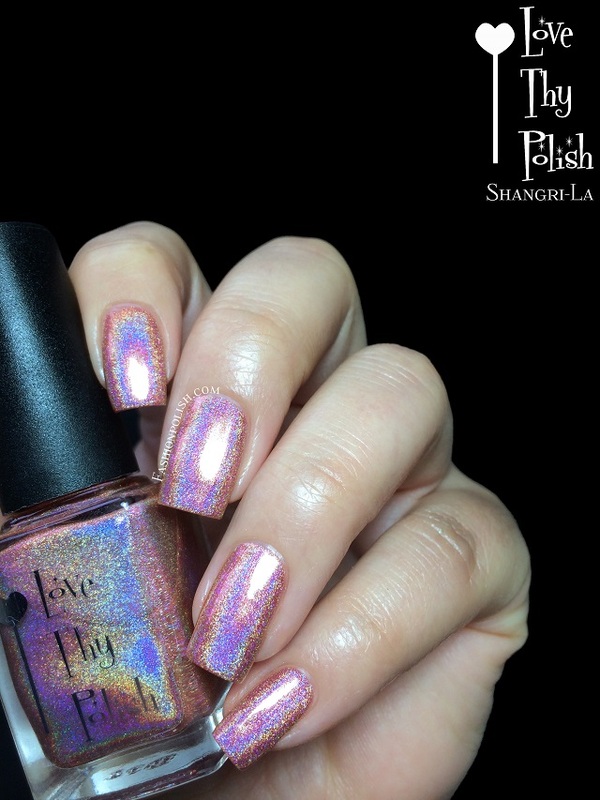 Shangri-La is a medium copper orange with a faint pinkish hue and, again, a crazy strong holo. Stunning! Sorry, I did say you'd read this a lot today, right? 2 coats plus TC shown below as well. 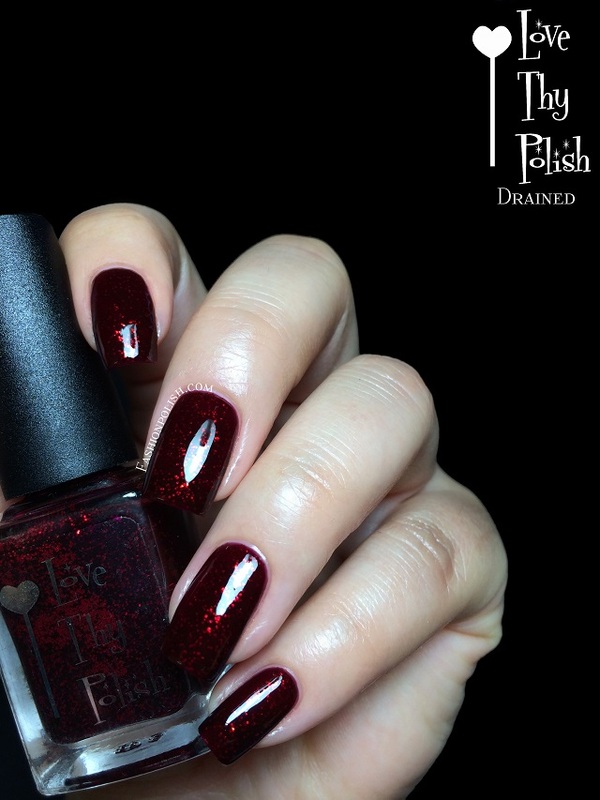 Drained is a mix of red micro glitters in a red jelly base. There's a lot of pink in the base but it's dark enough so even if you don't like pinks, it won't be a problem here. Vampilicious and really perfect for the season. This is 2 coats plus topcoat. 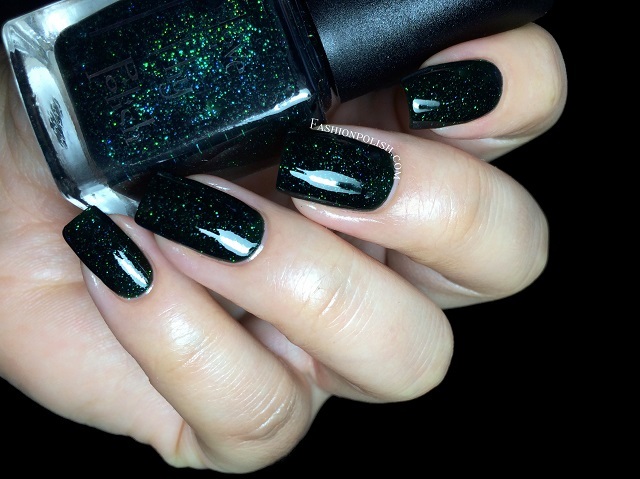 Magic Forest is a forest green jelly with green and blue shimmers but also a touch of holographic sparkles. It's really unique and catches the light like no other, at least 100 times better in person! I also used 2 coats plus TC in my swatches here. 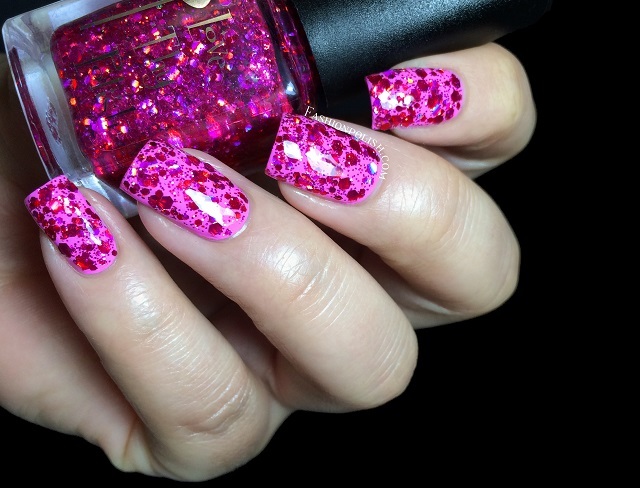 And finally Blossom is a mix of ultra sparkly fuchsia glitters in a clear base. There's lot of different sizes of hexes but also a few pink holographic pieces. I don't consider myself a pink person but I love it! Probably the most beautiful pink glitter I have, yes it's that gorgeous. As mentioned at the beginning of this post, I used one generous dabbed coat and didn't experience any trouble during application. This is my very first experience with Love Thy Polish and I must say that I a in L.O.V.E. 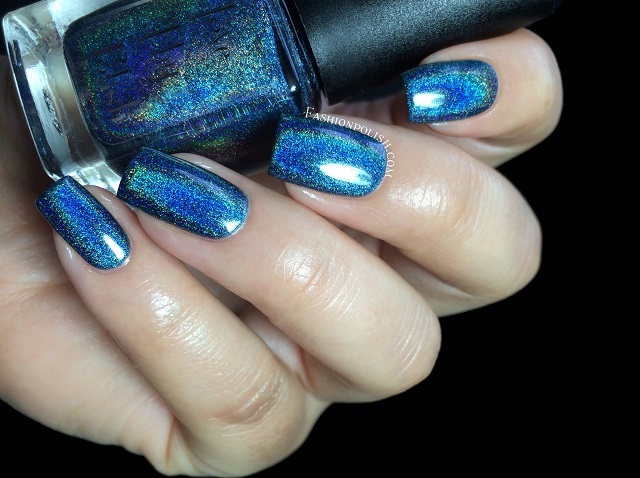 The holos especially are to die for. They're actually so blindingly strong that I had a really hard time capturing their true base color with all the rainbows yearning for attention! Love Thy Polish retails for AU$5.50 to AU$8.50 and can be purchased directly from lovethypolish.com or through national and international stockist (full list here). For more information, such as restocks, promos or new releases, I strongly encourage you to follow Love Thy Polish on Facebook and/or Instagram. So what do you think about these? 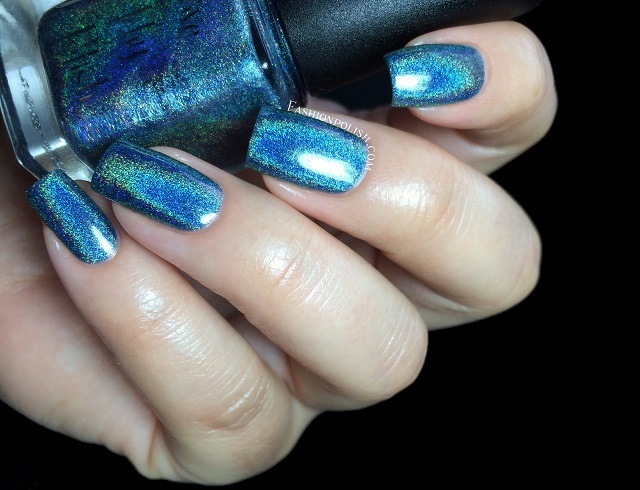 Still time to wear your favorite holos or do you keep them for Summer?